Need to take a quick trip across the city? Or perhaps you’re thinking of going on a getaway this weekend. Either way, it’s now convenient to get to your intended location by scheduling a private flight aboard the Cessna 206. This aircraft can seat up to 5 passengers, and each seat has particularly been crafted to ensure comfortable rides. If you’re a fan of sightseeing tours, this economical plane lets you take as many flights as you want. Manufactured by the Cessna Aircraft Company, this plane lets you travel up to a 1,296 kilometer radius. This means if you’re coming from Ontario, the farthest possible location you can reach would be Missouri in the United States. For coast to coast travels, a lesser flight capacity lets you reach Nova Scotia if you’re flying from Toronto. Be sure to confirm the number of passengers who’ll fly with you, so you can gauge the most efficient flight duration with your charter service. 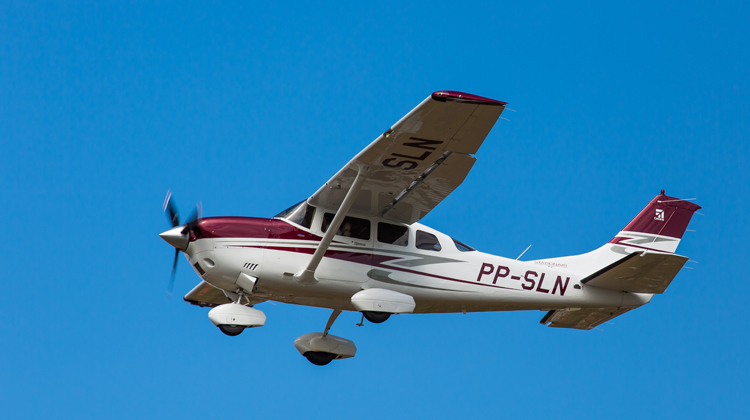 The Cessna 206 is frequently used for flight tours, and with good reason. This aircraft has wide windows alongside each passenger seat. Whenever you have a trip on board this plane, you’ll get the chance to glance over the skies, seas and landscapes by which you will be flying by. It’s also agile enough to access much smaller airports, so you can feel free to get creative with your flight plans. This aircraft has just enough space for its passengers to enjoy their short range flights. If you’re flying on the plane for business purposes, this non-luggage carrying aircraft enables you to reach your destination much faster. This aircraft can fly to and take off from rougher grounds and shorter strips. Hence if you’re thinking of flying to an airport much nearer to your intended destination, you need not worry if the runway is smaller. You can even opt for lesser cramped airports for utmost convenience and more efficiency. Flying tourists must also have this plane for island trips, if they’d like to reach much farther island destinations. Since its first flight in the early 60s, the Cessna 206 along with its other variants has had over 8,500 units produced for various applications. Many flying aficionados and pilots find this aircraft as their go-to means of transportation for sightseeing and photographing aerial views. As a development of its predecessor the Cessna 205, the Cessna 206 had its stages of production starting from 1964 and furthered on until 2013. This model further had sub-variants for more specialized applications. To date, this plane has over 6,500 units being flown all over the world.